Only Parent Chronicles: 2 More Days Until DUCK FEST!!! 2 More Days Until DUCK FEST!!! I hope your excitement is building! I know mine is! Thursday is the start of Duck Fest! I am so amazed by the out pouring of love for Daffy's nephew JD! Below is the complete list of giveaways! It's growing daily so be sure to keep checking back and make your plans for where you want to use your $1 donations! Not quite sure what Duck Fest is? Lemme help you out! Duck Fest is a blog party fundraising event to raise money for the JD Scholarship Fund. It runs June 3 - 8 right here in the blogosphere! How does Duck Fest work? Duck Fest is a raffle, so for every dollar donated, you get 1 entry. 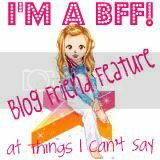 Every $1 donation = 1 entry = 1 comment to enter on ANY of the blog giveaways. This button leads to a secure PayPal account that was set up exclusively for the JD Scholarship Fund. Click on the donate button on that giveaway and donate money for entries. Each entry is $1.00. If you donate $10.00 you have 10 entries to spend however you want. Please make sure you include individually identifiable information in the COMMENTS section on the Paypal site AND in your comment/entry here on the blog. This will make it easier for us to verify your donation. For example, when you purchase your entries, leave your name and email in the comments, i.e. 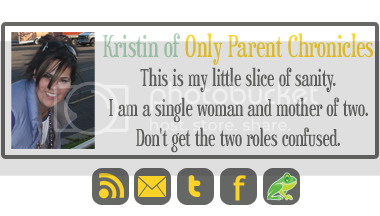 "That One Mom thatonemom dot onlyparentchronicles at gmail dot com" and then when you leave your entry, include the same info! You can enter as MANY TIMES AS YOU LIKE, so please go to town! More entries = greater chance to win. What if I would just like to donate money and not worry about prizes? That is perfectly fine! Just click on the donate button in the side bar. All donations go directly to the JD Scholarship Fund! If you would like to participate by hosting a giveaway OR is you have something you'd like to donate but don't have the form to host your own giveaway, please email That One Mom at thatonemom.onlyparentchronicles@gmail.com OR Tamara at cheapskatemom@live.com. Hooray for Duck Fest! I am leaving Thursday, so I won't be around to see much until I get back, but I'll be there in spirit!! Thanks for everything you're doing, k!